The expanding health care environment is creating a lot of new opportunities for highly-skilled professionals. In light of the ever-increasing demand for healthcare workers, now is the best time to prepare for a future in healthcare. Certified nurse assisting provides one of the easiest and fastest routes of entering the industry. In as little as 130 hours covered in three to six weeks, a prospective certified nurse assistant can acquire the skills to become an active member of the health care team. 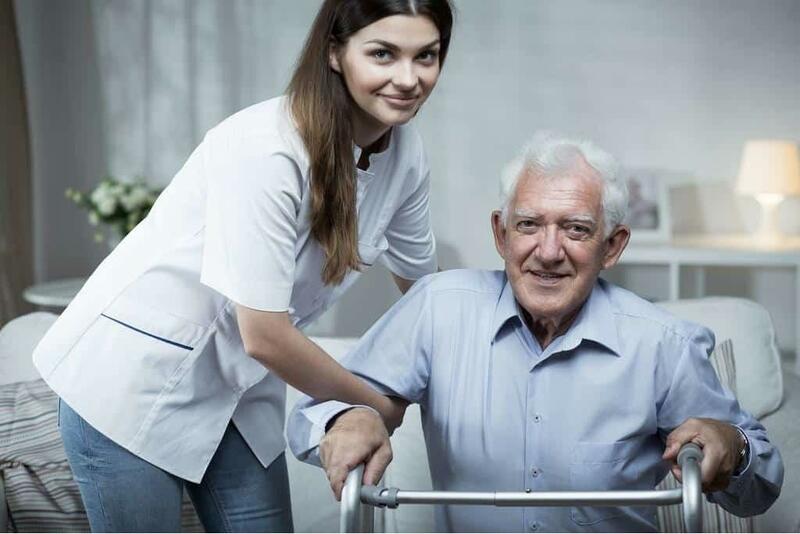 In Maryland, CNA graduates can apply for additional certification as a Geriatric Nursing Assistant (GNA) to work in a long-term care facility. State laws mandate GNA certification for healthcare providers in a long-term care facility. To obtain this additional certification, candidates must pass the written and verbal portions of the GNA exam that is administered by the American Red Cross. The Certified Nursing Assistant program at Frederick Community College is approved by the Maryland Board of Nursing. The program includes a basic study of medical ethics and law, anatomy and physiology, medical terminology, infection control, common health issues, patient care skills, care of the older person, body mechanics, patient transfers, and much more. Graduates are eligible to take the competency exam for CNA certification. 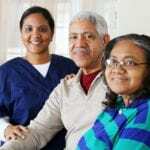 They also have the opportunity to sit the American Red Cross administered exam for licensure as a Geriatric Nursing Assistant for additional employment opportunities. Applicants, 18 years or older, must have the ability to speak English, complete the prerequisite courses with a grade C or above, and meet the health requirements. Health requirements include a physical exam report documenting no health limitations, negative TB test of chest x-ray, and a copy of immunization records. Applicants must also complete an AHA Healthcare Provider CPR course before the program commences. The evening schedule requires 15 weeks to complete. However, there is a daytime “boot camp” offering that runs for approximately 7 weeks. Tuition for the program is $2,890 and includes one set of scrubs, a blood pressure cuff, name tag, and stethoscope. Textbooks and CPR training are additional. The nursing assistant program offered through the Academy of Health Professions at the Frederick County Career and Tech Center is designed for high school students in grades 11&12. The course offers 2 credits which may be transferred to a nursing program for students who are considering a post-secondary degree in the field of nursing. Students develop the skills needed for MBON certification as a CNA and GNA. Training in the laboratory and a supervised clinical experience help students develop “soft-skills” and technical skills. Students must take a PPD test for tuberculosis, provide proof of measles, mumps, and rubella immunization, and demonstrate immunity to Hepatitis B. A valid social security number or Tax ID number is required for taking the CNA/GNA certification exam. The CNA curriculum at Cambridge Nursing Assistant Academy covers basics nursing skills. Students learn how to check vital signs, care for patients with Alzheimer’s disease, use body mechanics to transfer patients, ensure patient safety, communicate with patients and members of the healthcare team, and assist with treatments. Graduates are eligible to apply for the CNA licensing exam. The 120-hour training offers 80 hours of instruction in the classroom and 40 hours of clinical experience at a skilled nursing facility. At the program’s conclusion, students will be able to identify patient care needs, use their knowledge, skills, and abilities to provide safe patient care, communicate with clients, and assume accountability for their practice. Prospective students must submit a completed application and provide evidence of being 18 years or older, a negative TB test, and a physical exam with documentation of immunization. Applicants with no high school diploma must obtain passing scores on the Verbal and Quantitative components of the Wonderlic Basic Skills test. The application fee is $25. Morning Star Academy prepares nursing assistant students to provide “culturally sensitive care to diverse patient populations.” With an emphasis on health promotion, patient education, basic health care, and restoration, graduates are well-prepared to become effective members of the health care team. The MBON approved curriculum covers a total of 130 hours: 90 hours in the classroom/laboratory and 40 hours at a clinical site. Classes meet from 8:00 am to 2:00 pm from Monday through Friday for the morning schedule or 4:00 pm to 10:00 pm Monday through Friday for the evening schedule. Applicants with no high school diploma or GED must pass an Ability to Benefit exam. All applicants must confirm their age by a Federal or State-issued ID. Other requirements for enrollment include a social security card, CPR/First Aid certification, a copy of a current physical exam (not older than 6 months), evidence of negative TB, Hepatitis B immunity or waiver, and a copy of a criminal background report. The total cost of the program is $1,100 and includes the registration fee, tuition, books, supplies, and skills DVD. A payment plan is available for all students. Students enrolled in the nursing assistant certificate program at FNAA gain an understanding of the healthcare setting, legal and ethical issues in practice, human needs and development, infection control. Bowel elimination, mental health and illness, nutrition and hydration, and dying, death, and hospice. They also acquire special care skills to work in various healthcare settings. Both day and evening classes are available. Applicants must complete the health requirements including immunization records, sign the enrollment agreement, and take an admission test – for applicants without a high school diploma. The program costs $975 for tuition, application fee, and registration fee. Books, supplies, and materials cost an additional $100.